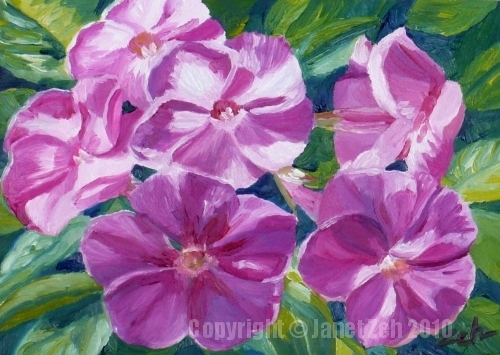 Pink phlox are lovely in the sunlight on an autumn day. This painting is done with thick brush strokes in a quick, impressionist style. These colorful flowers from my garden make a lovely painting that will add a bright spot to a small space. You can find this Pink Phlox painting for sale in Janet Zeh Etsy shop here.